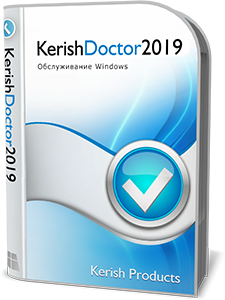 Kerish Doctor is a universal software product designed to take care of your computer, fix registry errors, optimize the system and clean it up, protect your PC from viruses, potential vulnerabilities and monitor security settings. Correcting registry errors and Windows crashes in real time. Optimization of the speed of the system. Optimize Windows settings and system services. Ensures the security of the system, finding and destroying viruses and other malicious programs. Cleaning discs from digital "garbage" - temporary files that have not been deleted. When changing drive letters, it adjusts all shortcuts, settings and registry entries. All the fixes regarding the files are recorded in the fix log, from where they can be restored. Cleaning up invalid sections and shortcuts. Eliminate Windows vulnerabilities and installed software. Control of significant PC events. Availability of advanced and intelligent diagnostic algorithms. After payment you will immediately receive a login and activation code. Deadline for April 11, 2020.